I saw this this today and it tickled me in a weird way. 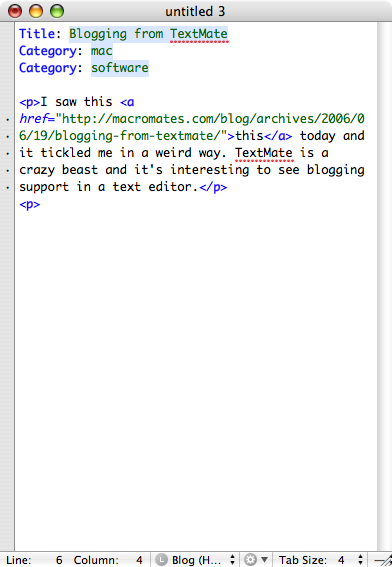 TextMate is a crazy beast and it’s interesting to see blogging support in a text editor. I also liked the automatic uploading of images as you drag them into an article. Something MarsEdit could learn from.